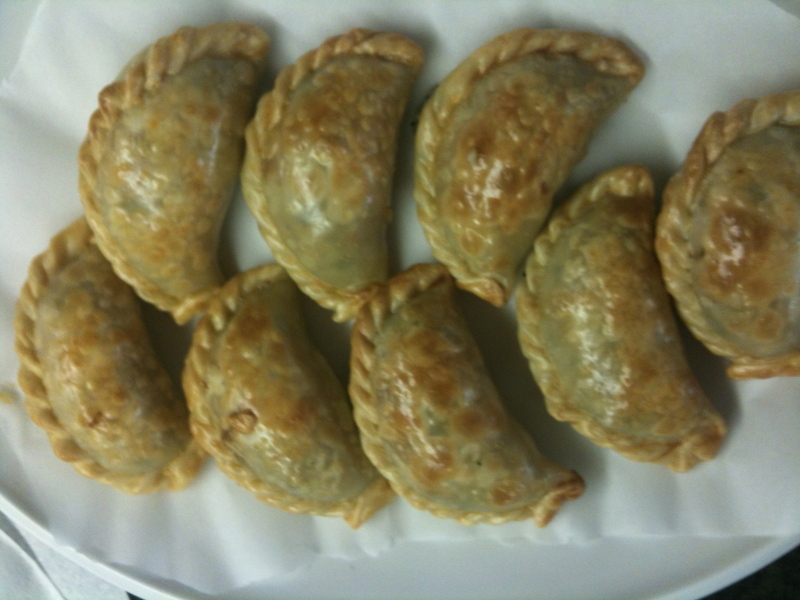 I made my second attempt at Empanadas a while back. These brought rave reviews from the food critics (my husband and kids). 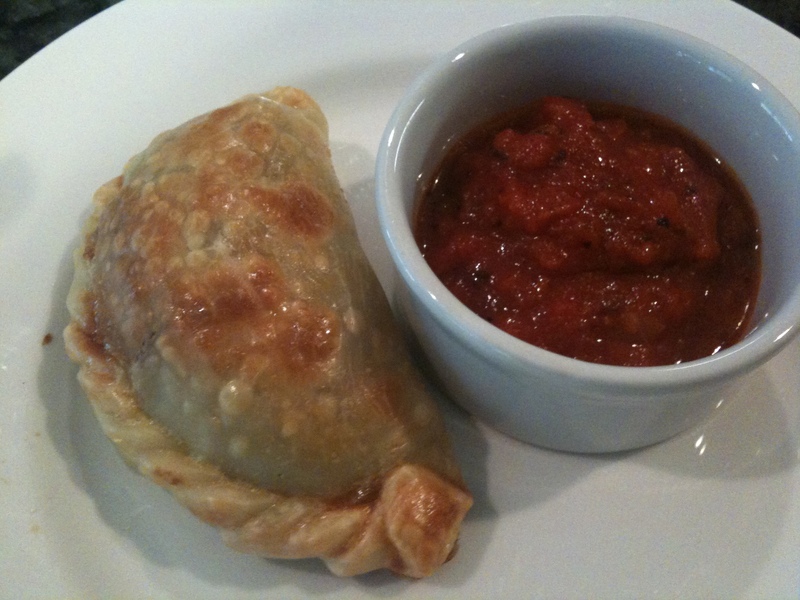 My other empanada recipe has a Mexican flavor profile, this one is all about Italian yumminess. I grew up in Santa Barbara and used to go to a restaurant there with my family called Mariann’s Italian Villa. They made a calzone there that I loved. It had broccoli, mushrooms, and Italian cheeses. I pretty much duplicated it but added some prosciutto. It totally reminded me of that calzone I loved. 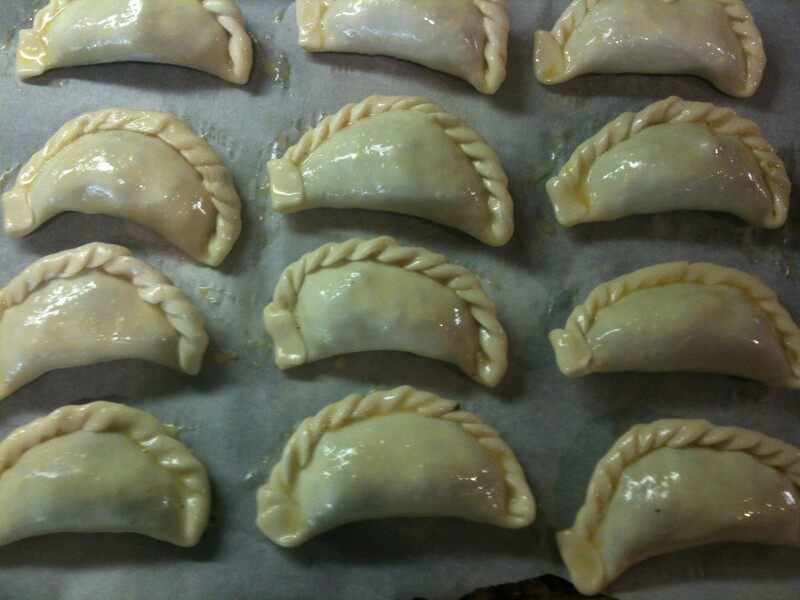 In fact, this recipe would make a great calzone…just substitute pizza dough for the empanada wrappers. I served them with a zesty marinara sauce. These make great appetizers for a party or a yummy dinner with a salad! In a large skillet, saute the onion in a couple of turns of olive oil for about 10 minutes. 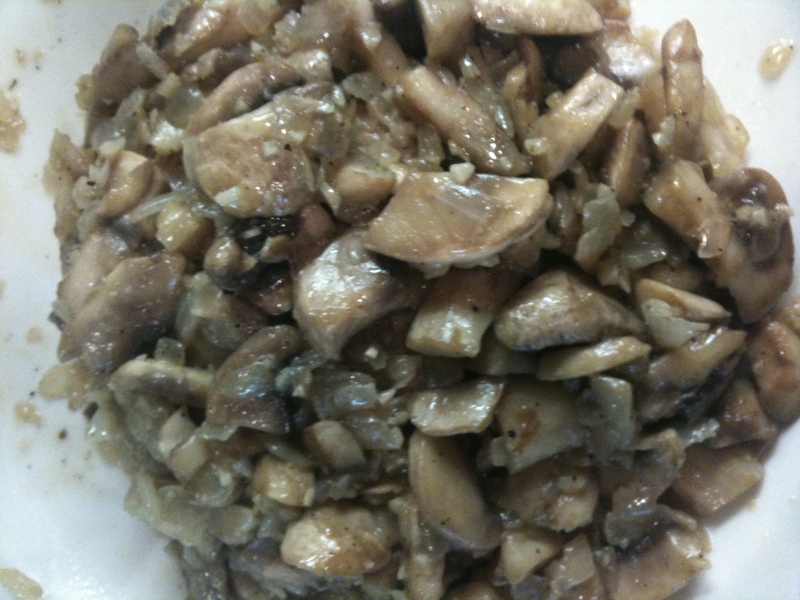 Add the mushrooms and saute until they give off their liquid, about 7 minutes. Season with salt and pepper and add the garlic and saute a few more minutes. Turn the heat up so that you cook off any of the liquid that the mushrooms give off. Once the liquid has cooked off, turn off the heat and let cool. 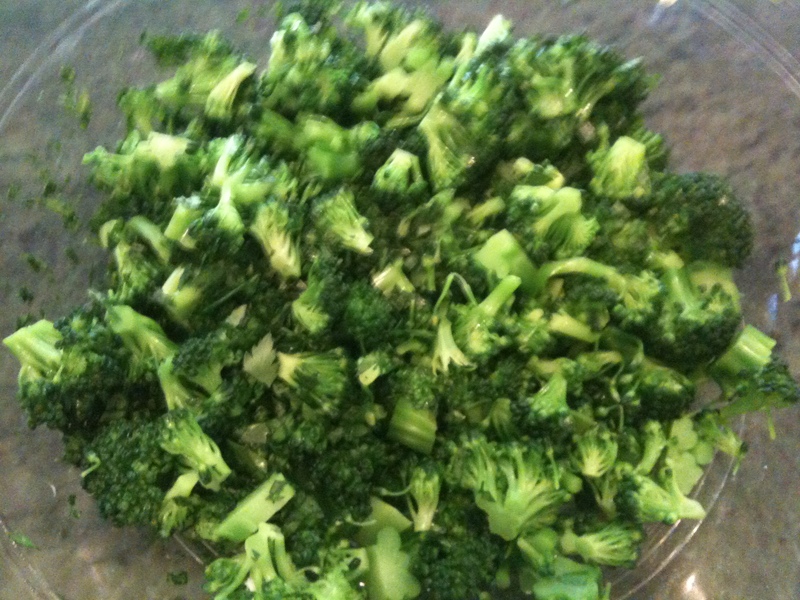 While the onions/mushrooms cook, blanch the broccoli in a pot of boiling salted water. Cook for only a minute or 2, then shock in a bowl of ice water to stop the cooking and keep the broccoli nice and bright green. Let dry on paper towels. 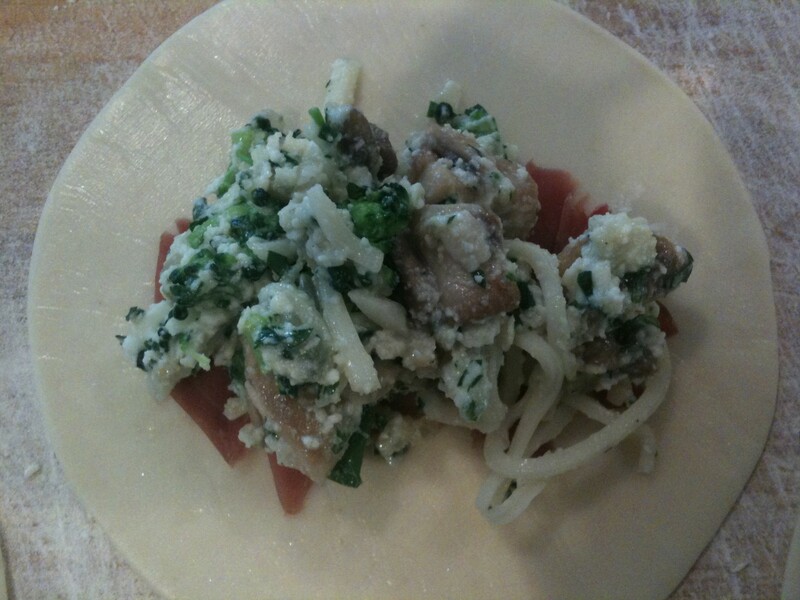 In a medium mixing bowl, combine the cooled onion/mushroom mixture, the blanched and dried broccoli, the ricotta, mozzarella, parmesan, parsley, and season again with salt and pepper. Take the prosciutto out of the package and cut each slice into smaller strips and lay out on a cutting board. Now you are ready to assemble. Lightly flour a cutting board and lay out a few empanada wrappers. 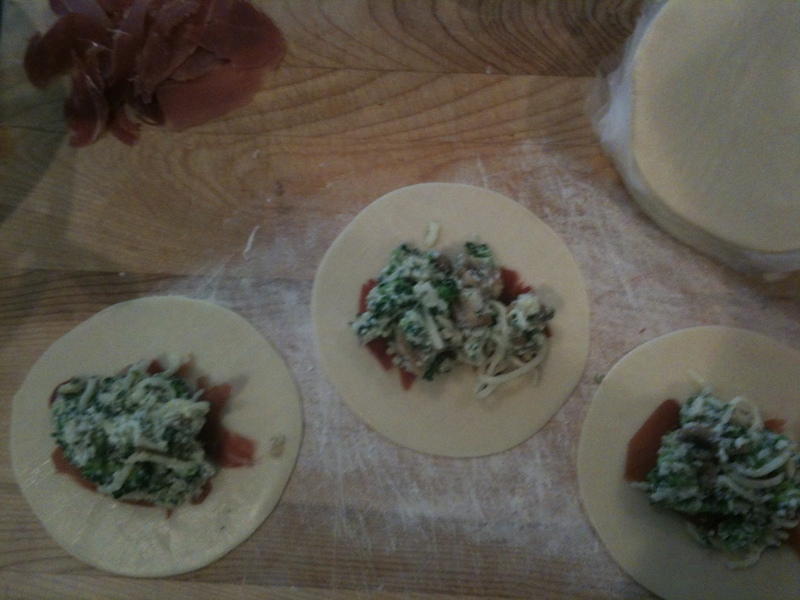 Place a couple a pieces of prosciutto down first then top with a couple of spoonfuls of filling. You can either do the traditional pinch and fold method or the fork press method to close. I love the way the look with the pinch/fold closure. Be careful not to over stuff. Put them on a cookie sheet covered in parchment paper and brush with the beaten egg. Bake for about 30 minutes or until golden brown. Give them a while to cool and serve with marinara sauce of your choice. 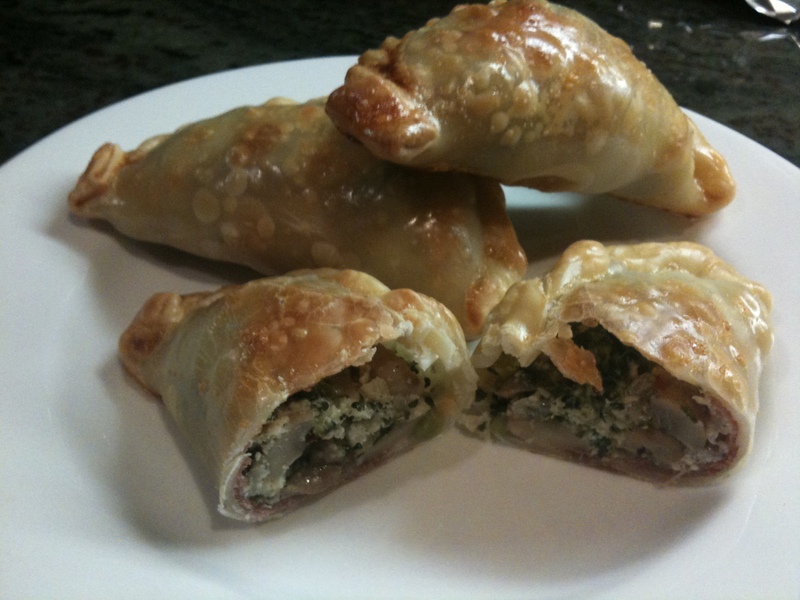 We can have an empanada making/wine drinking girl’s night and I can show you how to do the wrap! Or…you could just use a fork to press them closed, but I think the girl’s night sounds more fun!